Radiofrequency cellulite reduction helps improve the appearance of your skin. Inner Beauty Concepts is proud to offer radiofrequency cellulite reduction treatments as part of our med spa services. If you have cellulite and are self-conscious about it, you don’t have to struggle with different creams or workouts trying to eliminate it. Radiofrequency cellulite reduction uses broad-spectrum light to target cellulite and fat cells and break them down. Schedule your appointment at our med spa in Nashua today if you’re interested. Find the effective cellulite treatment you’ve been looking for with Radiofrequency cellulite reduction. Are you sick of living with cellulite? If so, you’re not alone. Although cellulite affects both men and women, it’s far more common in women than in men. In fact, it’s estimated that between 80 and 90 percent of women will struggle with cellulite at one point or another in their lives. However, just because it’s common, it doesn’t make it’s something you want to live with. Whether you’re sporting gym shorts or your favorite swimsuit, cellulite can hurt your confidence. Luckily though, there’s an effective way to get rid of cellulite — Radiofrequency cellulite reduction. Learn More and Scheduleyour appointment with Inner Beauty Concepts today! How does Radiofrequency cellulite reduction work? During a cellulite treatment using radio frequency therapy, pulses of intense, broad-spectrum light are sent into the skin. 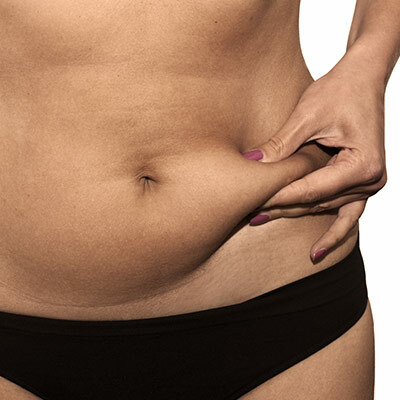 Through the use of specific wavelengths, cellulite, as well as underlying fat cells, are targeted and destroyed, and then they are reabsorbed by the body. In addition to destroying cellulite and fat cells, radio frequency cellulite reduction also boosts the production of collagen, which helps to reduce the appearance of dimples and bumps in the skin. Why try Radiofrequency cellulite reduction? There are many different cellulite treatments out there, but if you’re looking for a safe and effective treatment that requires no surgery, scars or downtime, it might be time to consider radiofrequency cellulite reduction. Cellulite reduction can be performed on any area of your body, and it’s a safe option regardless of your skin type. Best of all, each treatment will only take about 30 minutes, and you’ll be able to get back to your regular schedule right away, making it possible to squeeze in your treatment no matter how busy your schedule is. Is radiofrequency cellulite reduction the right option for you? Learn more and schedule your appointment with Inner Beauty Concepts today!